Rob is currently Global Brand and Marketing Director for M&S, overseeing all of M&S’ categories. He started his career on the Unilever Companies Management Development Scheme before winning a Fulbright scholarship to study an MBA at Stanford University. After Stanford Rob worked briefly for Nike in Portland, Oregon before joining McKinsey in Australia. Rob spent 3 years working in McKinsey’s retail and consumer goods practice, spending time in Sydney, Melbourne, Moscow and London. 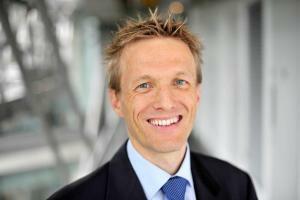 After McKinsey Rob joined John Lewis where he worked as Head of Strategy before joining M&S in 2011.